When people are accustomed to being constantly connected, the disparity in data service quality between cities and remote locations—where laying optical fibers is not simple—cannot be left unaddressed. Breaking all barriers to connect remote areas through a game-changing approach leveraging pioneering satellite technology is SES Networks. 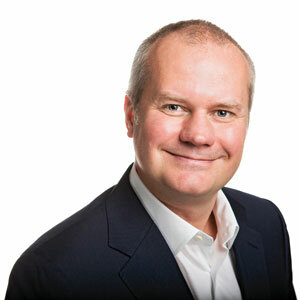 A leading satellite service provider and operator, “SES Networks uses high-performance satellite-managed data services to enable access to cloud-based applications anywhere on the planet,” states JP Hemingway, EVP of Product, Marketing and Strategy, SES Networks. The company’s forte is tailoring satellite connectivity solutions for specific applications and markets—such as data mobility for moving platforms, content analytics and optimization for ISP services, e2e managed Ethernet private lines for Enterprise VPN, and cellular backhaul for mobile networks—and providing the same user experience as fiber connections. SES Networks transmits information through its on-ground satellite gateways—strategically located points of presence around the globe providing direct access to the internet backbone, global content peering, and data center partners—to its satellites that downlink it to customers. The company deploys multiple satellite systems including geostationary orbit satellites (GEOs) and medium earth orbit satellites (MEOs). Being closer to earth, MEOs cause lower signal transmissions delays between satellites and receivers, making apps run faster and better. SES combines robust coverage models from GEOs with high and dedicated MEO throughput to achieve high, scalable, and application-matched performance. “Despite being a satellite service, its simplicity and performance match a terrestrial WAN,” says Hemingway. Connections across MEOs and GEOs create a hybrid resiliency system, akin to multi-degree mesh in fiber networks for high availability services. SES Networks identifies optimal connectivity solutions for customers to achieve their goals. This may include selecting the right hardware to support traffic growth, or implementing systems for new service launches. After launching a connectivity service, SES Networks offers full lifecycle services, including effective customer enablement programs for maximum results. The company helped an ISP improve broadband quality of experience (QoE) remarkably while decreasing CAPEX, causing a 400 percent business growth within 30 days. The speed of deploying SES Networks’ satellite-enabled services proves beneficial over traditional connectivity modes that require laying optical fiber cables, which could last months or years. SES Networks provides fiber-like connectivity in the shortest time, only limited by transfer time of a terminal to the customer site and satellite signal acquisition. “Once connected, the link is as capable and standardized as a fiber service,” remarks Hemingway. Network optimization, so ISPs and mobile operators can offer high QoE for end users, is another area where SES Networks excels. The company provides managed applications, enabling immediate and economical access to network analytics tools. A Pacific Island-based ISP sought to provide a highly differentiating service to customers. The company intended to upgrade its content caching platform, hoping to obtain the desired results. When SES Networks was brought onboard, it first analyzed the ISP’s network traffic with an analytics-as-a-service solution. SES Networks found that the traffic comprised of encrypted social media content, which could not be cached. SES Networks then rigorously analyzed the various classes of services that could be optimized, which not only improved customer experience but also empowered the ISP for an impending rollout of 4G-enabled services to consumer and enterprise markets. Striding forward, SES Networks intends to alter the perception of satellite connectivity, leveraging telco industry standards and the latest network function platforms for all customers, regardless of their infrastructure. The company is focused on QoE aspects and integrating its satellite solutions into customers’ business systems to offer scalability. Hemingway opines that the proposition will speed consumer and business adoption of cloud applications in remote and/or mobility scenarios. SES Networks just announced their mPOWER vision, which takes the solution to the next level, connecting even more people with more flexible capacity, with the launch of 7 new super-powered satellites and further software intelligence.